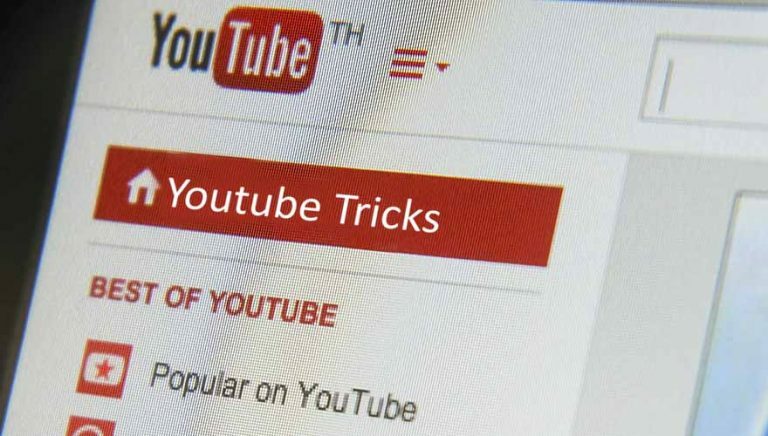 Best YouTube Tips & Tricks In Hindi, Tamil, Telugu (2019): Top 10 – YouTube is among the most popular social media websites on the internet, with over a billion users. The video streaming platform has one of the biggest content repositories on the world wide web and is a great place to find music, tutorials, movies etc. YouTube is second in reach only to Facebook. 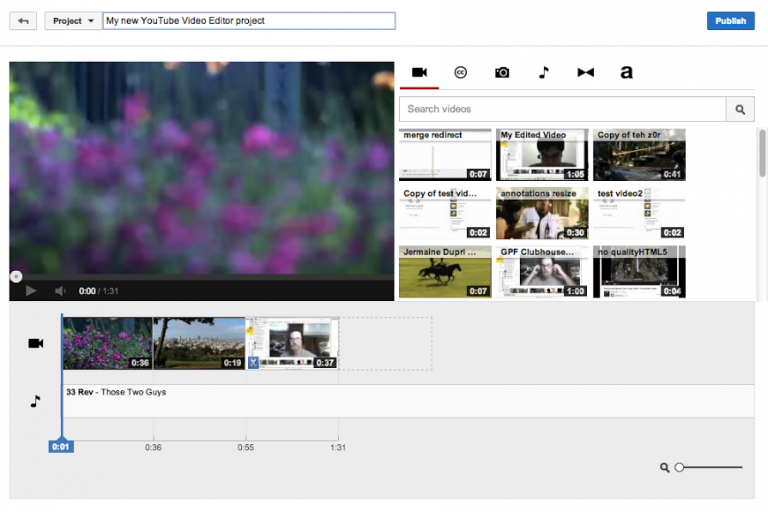 Many of us don’t know that YouTube has a versatile video editor built in it. The site eliminates the need to use other advanced and often time-consuming, editing applications. This editor has features such as trimming, splicing, enhancing and filtering. YouTube also has a slideshow creator where you can upload photos and the site automatically clubs them into a slideshow. Here you can also arrange the sequence of the photos, change the slide duration, select transition effects, and add soundtracks. Do you know that we can create GIFs out of YouTube? It is, even more, easier of creating GIFs using YouTube. Just add ‘gif’ before ‘YouTube’ in the URL bar and you’ll be redirected to a site where you can create GIFs of specific durations. You can add captions, stickers, and a few basic effects to them. While using YouTube, you don’t always need the mouse/trackpad. Google offers a keyboard-only navigation which helps you operate YouTube without a mouse. 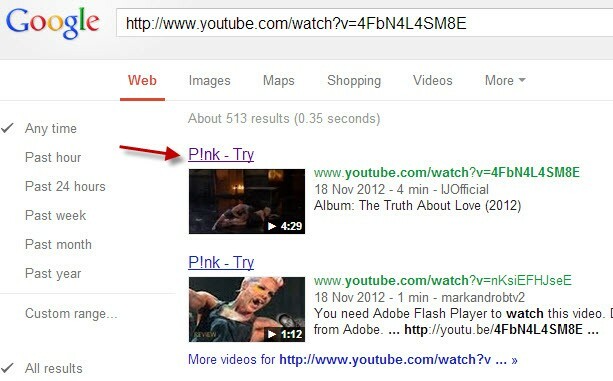 Open YouTube with the URL ‘www.youtube.com/leanback’ and you will get the navigation as shown in the image above. 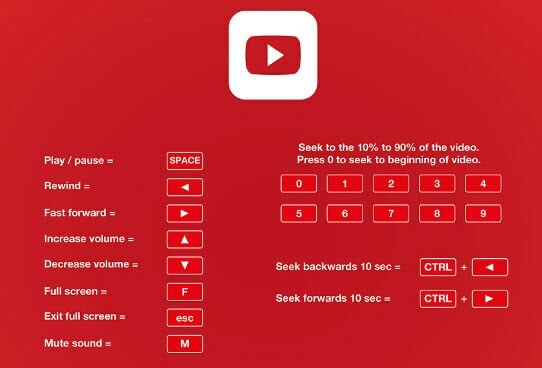 Use the keyboard to play, pause, fast-forward, rewind and even report videos. 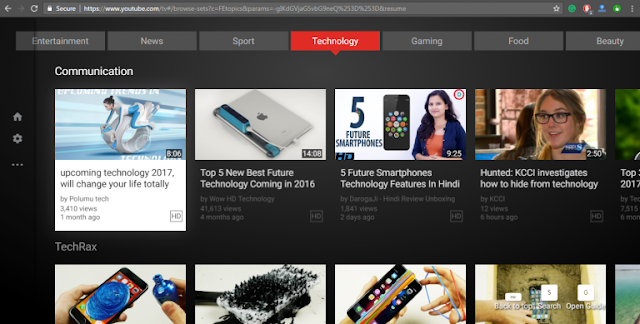 Here, you can like/dislike, subscribe, search with the help of the keyboard. People who ever feel the need of slow down or speed up a video, you can do it by clicking the Settings button and click the Speed option and select the time intervals. You can slow down the video (0.25X and 0.5X) or speed it up (1.25X, 1.5X and 2X). However, this feature is available only for desktops and not for the app. Here you can open restricted videos on YouTube without logging in. You just need to alter the URL. For example, in the restricted video https://www.youtube.com/watch?v=wyOz1Xb4u54&list=PL596583248B91B9C9&index=14, you need to remove the ‘/watch?v=’ type (insert) ‘/v/’. This will turn the URL to ‘https://www.youtube.com/v/wyOz1Xb4u54&list=PL596583248B91B9C9&index=14’ and open the video without logging in. So easy, isn’t it? People always use a mouse to pause, forward and mute videos on YouTube. But they don’t know that there are few shortcuts for all these purposes to simplify the video-watching experience. k – Pause or play, j – Rewind 10 seconds, l – Fast forward 10 seconds, m – Mute. Number 0 – Jump to the beginning of the video. Numbers 1 to 9 – Navigate through 10 percent to 90 percent of the video. Spacebar – Repeat the last action. This feature can be used if you have a slow Internet connection. It also avoids the pain of waiting for the video to buffer. For this, you have to go to ‘www.youtube.com/account_playback’ and select the option ‘I have a slow internet connection. Never play higher-quality video.’ If you want videos to play only in HD resolution, you need the ‘Magic Actions’ extension for Google Chrome and Firefox. YouTube automatically writes down the audio in every video into text which can be accessed by anyone; click the ‘More’ tab and select ‘Transcript’ from the drop-down menu to obtain the Transcript. You can also add the transcript either as a pre-written file or you can type it out while watching or uploading the video. 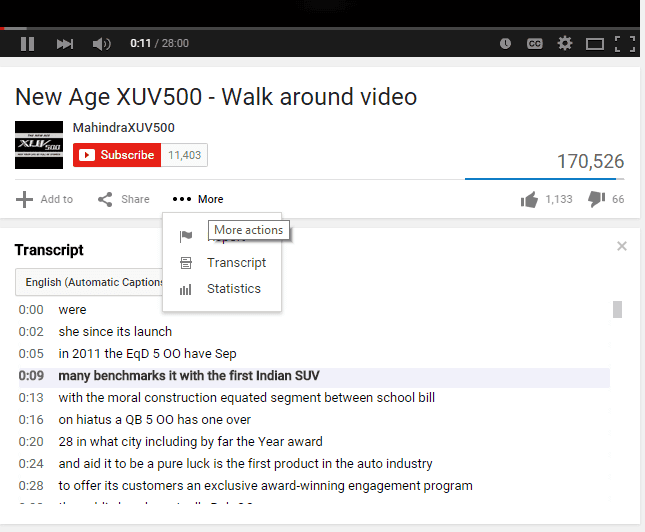 You can also make use of this feature to transcribe audio or video files for free. 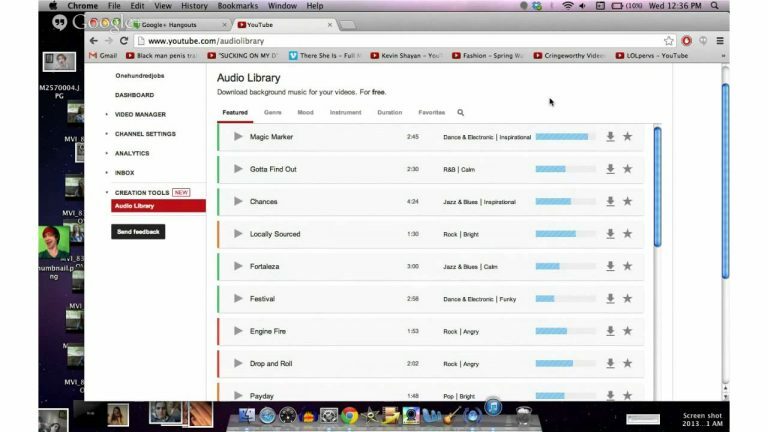 YouTube has a huge storage area of free sound effects and songs which you can either download as MP3s or use in the videos you upload. The songs are classified according to genre, mood, instrument, and duration while the sound effects are filtered based on categories like ‘human voices’, ‘horror’, ‘science fiction’, and the like. This helps us add a soundtrack to your video so easily. Whenever we hear or watch an awesome song or video on YouTube, we can’t identify the exact video next time. A site called MooMa.sh has a way to simplify this process. Simply copy-paste the video’s URL into the site and it’ll spit out all the songs it identified in the video. This site also works on videos from site like Dailymotion and Vimeo. For any other queries regarding Best YouTube Tips & Tricks In Hindi, Tamil, Telugu (2019): Top 10, please make sure to comment below. Starting a YouTube channel seems like the easiest way to get a secondary source of income and a chance to “be-your-boss” in India. While prominent YouTube content creators have quit their full-time jobs for the success of their respective channels, it is definitively not advisable for someone who is thinking of starting their YouTube channel now. The reality is making money on YouTube requires dedicated long-term effort and of course, a creative mind. You will have to create good videos consistently and just forget about the money. Before you start…here is a reality check You are highly mistaken if you consider YouTube to be a quick source of additional income. Also, it is not about creating that one viral video. YouTube is all about uploading videos regularly that are high on quality and content. Now, talking about making money from YouTube: the reality is that majority of mainstream media companies in India are yet to make any significant amount from their YouTube channels. This is despite having dedicated resources in the form of camera persons, anchors, producers and video editors. On the other hand, there are individuals running successful YouTube channels and are managing to get decent salaries from YouTube. And then there are the YouTube millionaires. In all the above scenarios, there are a couple of things that are in common. You will hardly make anything from your YouTube channel for the initial couple of years. It might seem like that but it’s not really all about the moolah. To be a YouTube success story, you will have to focus on providing quality content regularly that would interest a large section of global audience. Content is king There is a general misconception that views translate into YouTube money. It is the advertisements that viewers mostly like to “skip” that get you the money. Having advertisements alone, however, will not help. Viewers will have to interact with those advertisements. To get advertisements on your videos, you will have to sign up for the YouTube Partner Program. To be able to join the YouTube Partner Program, your channel is required to have 4,000 watch hours and a minimum of 1000 subscribers. These metrics can be tracked once you open the YouTube channel and refer to YouTube Analytics. To qualify for this, you will have to create quality content that would interest a large audience. To ultimately make it big on YouTube, it is the content that will take you places. 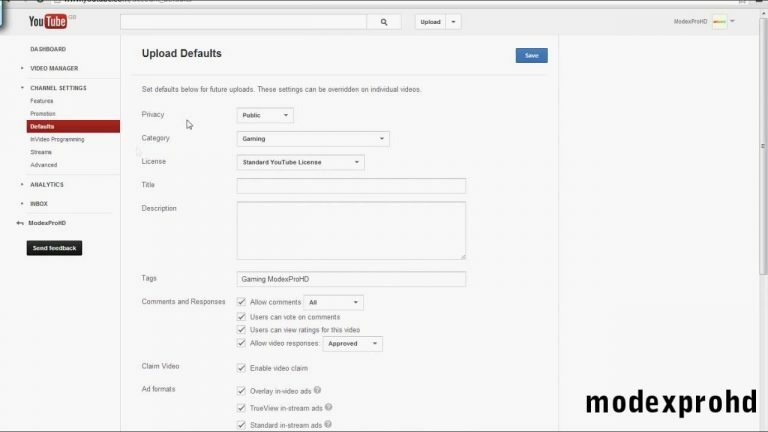 How to setup your YouTube Channel? Simply, start with a Google account and sign in to YouTube. Decide on the genre and name beforehand. Also, create unique thumbnail and cover images before you start. To maintain a workflow, it is advisable to create sufficient content from the beginning before you start your channel. As a rule of thumb, it is advisable to have two or three weeks of planned and ready-to-upload videos. This will help you to be regular and consistent. The basics of production suggest that you make videos mute-friendly with proper subtitles and incorporate a good voice-over. While smartphone cameras are good for starters, remember it is always the shots and angle that makes a good video great. You will have to think like a director. After getting these basics right, you should aim to get enrolled to YouTube Partner Program with 1000 subscribers and 4,000 watch hours. Once this is achieved, you will have to connect your YouTube channel to a Google Adsense account to get paid for monetised videos. After this you will have to continue making engaging videos to gain traction. Lastly, you will have to wait and expect your ad-engagement to increase to earn money. Other sources of earning money from YouTube If you believe your content is great and you have built up a sufficient subscriber base then you can market your YouTube channel differently to earn money. Remember, it is frustrating to expect decent money from YouTube advertisements despite having great content. Here are three other common ways to earn money from your established YouTube channel. 1) Make sponsored videos: Everyone wants online footprint. So, you can make exclusive videos for a certain brand or business. For example, if your channel is about food, then you can feature sponsored restaurant reviews. 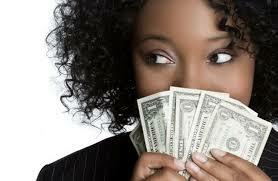 Businesses are ready to spend money if you can promise them good online traction. 2) Product placement: This is similar to what movies and TV channels do. Of course, the price depends on how established your channel is. For example, you can incorporate products from the sponsoring brand while making a general video on your Food-based YouTube channel. 3) Affiliate links: If you are commenting on a certain product in your YouTube video then you can add an affiliate link on the description to get some money when a viewer clicks on it to buy something or enroll in some online service. Income from affiliate links may not be big but it’s something you should not ignore. YouTube, owned by Alphabet's Google, deleted about 5 million videos from its platform for content policy violations in last year's fourth quarter before any viewers saw them, it said in a new report that highlighted its response to pressure to better police its online community. YouTube has been criticised by governments that say it does not do enough to remove extremist content, and by advertisers, such as Procter & Gamble Co and Under Armour that briefly boycotted the service when they unwittingly ran ads alongside videos the companies deemed inappropriate. YouTube said in the report Monday that automating enforcement through software "is paying off" in quicker removals. The company said it did not have comparable data from prior quarters. YouTube said it still needed an in-house team of humans to verify automated findings on an additional 1.6 million videos that were removed only after some users watched the clips. The automated system did not identify another 1.6 million videos that YouTube took down once they were reported to it by users, activist organisations and governments. "They still have lots of work to do but they should be praised in the interim," Paul Barrett, who has followed YouTube as deputy director at the New York University Stern Center for Business and Human Rights, said. Facebook also said on Monday it had removed or put a warning label on 1.9 million pieces of extremist content related to ISIS or al-Qaeda in the first three months of the year, or about double the amount from the previous quarter. Corralling problematic videos, whether through humans or machines, could help YouTube, a major driver of Google's revenue, stave off regulation and a sales hit. For now, analysts say demand for YouTube ads remains robust. The following are steps that YouTube has taken. Extremism YouTube officials say the company removes videos that contain hate speech or incite violence. It issues "a strike" to the uploader in each instance and bans uploaders with three strikes in a three-month period. Also banned are government-identified "terrorist organizations" and materials such groups would upload if they could. 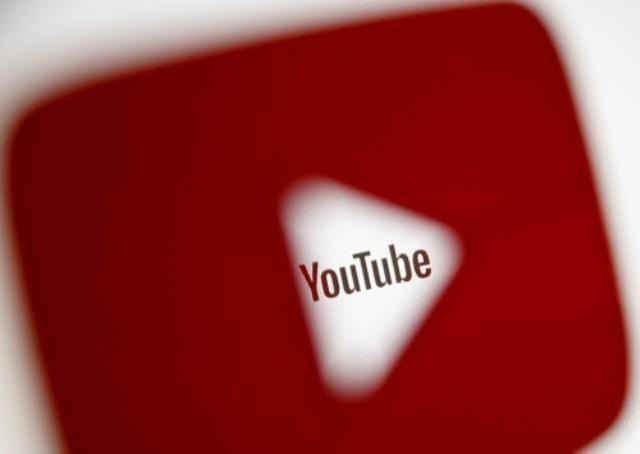 YouTube shares the digital fingerprints of removed videos with a consortium of tech companies. 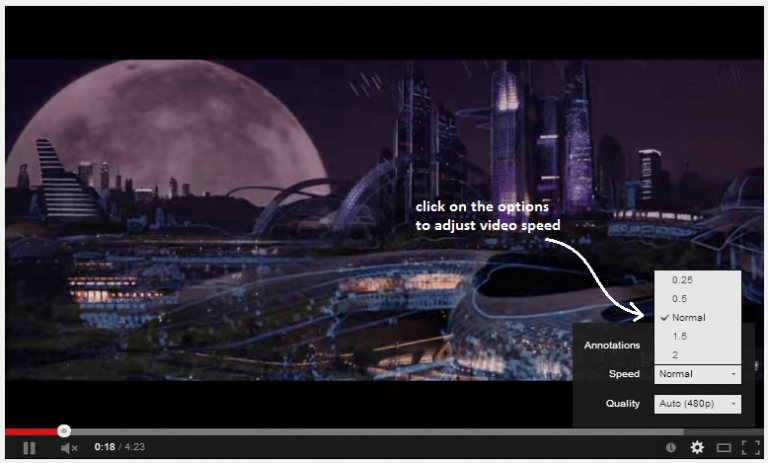 Borderline videos get stamped "graphic" and stripped of features that would give them prominence. YouTube added options for advertisers to avoid sponsoring these videos last year. YouTube automated scans have sped up takedowns of videos tied to ISIS or al-Qaeda. But it has struggled to draw a line on views espoused by white right-wing extremists, who tend to know the rules well and stop short of overt hate speech. Misinformation YouTube said it would be difficult to enforce a "truth" policy, leaving the company to look for other policy violations to remove videos with misleading information. 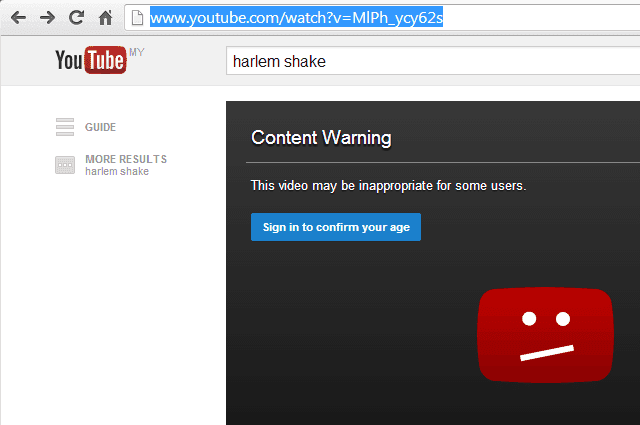 For instance, YouTube could delete a fabricated news report by finding it harasses its subject. Since autumn, it has promoted "authoritative sources" such as CNN and NBC News in search results to push down problematic material. 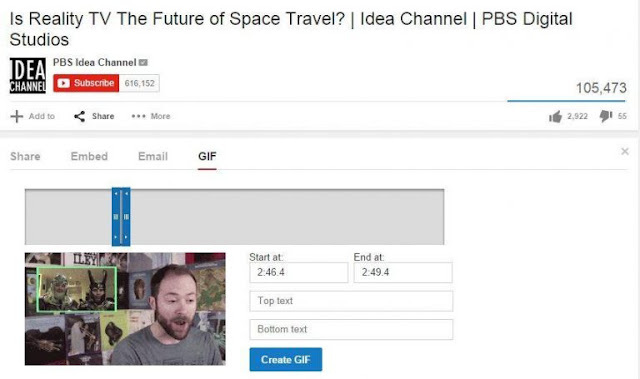 YouTube also plans to display Wikipedia descriptions alongside videos to counter hoaxes. But YouTube still is cited as slow to identify misinformation amid major global breaking news events when video bloggers quickly upload commentary. The company preserves other challenged clips that have public interest value or come from politicians. Child endangerment YouTube last year began removing videos and issuing strikes when the filming may have put a child in danger or when a cartoon character is used inappropriately. YouTube does not alert law enforcement or intellectual property owners about these videos because YouTube says it cannot easily identify uploaders and rightsholders. Copyright owners that believe a video violates guidelines or infringes their copyright or trademark can report it to YouTube. The company last year begin stepping up moderation of comments that inappropriately reference children. YouTube is undoubtedly the most commonly used platform that people use for video consumption. Despite Indian consumers swimming in unlimited data -- telecom companies are getting competitively generous by the day – there are times when it’s not always possible to stream video content. Readers must note that these videos remain on the app as long as the device has an internet connection for 29 days. However, the downloaded videos can be played offline for a continuous period of up to 48 hours. After that, you will need to reconnect your device to a mobile or Wi-Fi network after every 48 hours so that the app can check in case there is a change in the video or its availability for offline viewing remains. Therefore, if a video is no longer available for offline playback, it will be removed from your device during the next sync. These videos can be downloaded via both Wi-Fi and mobile data. Also, not all videos on YouTube are available for offline viewing. For those who are short on internal storage, these downloaded videos can be saved to the SD card also. For that you will have to go to your profile> Settings> Downloads. Toggle on the option of ‘Use SD card’ (Save videos to the SD card).